Swedish Count Axel von Fersen is the infamous lover of Marie Antoinette, the French queen who would lose her head. The two meet while Marie Antoinette is still the dauphine and their relationship continues throughout the rest of her life. Indeed, von Fersen is even the brains behind the royal family’s unsuccessful attempt to flee the country once the Revolution begins to get truly dangerous. Even so, he is typically a minor character in the story of the French Revolution. In The Queen’s Lover, we see the entire situation from Axel’s point of view, including his life after the execution of his beloved queen. The Queen’s Lover is told as if posthumously through von Fersen’s diaries and memoirs, which themselves seem to have been written after the majority of the events in question. As a result there is – strangely, for fiction – essentially zero dialogue. This give the narrative almost a clinical feel, Axel seems to be reporting on the events in question more as a historian would than as a participant would, creating a less compelling narrative than one might expect from Marie Antoinette’s lover. von Fersen himself also comes across as fairly unlikeable, professing his great love for Marie Antoinette, all the while having affairs with other women even while the queen is still alive. 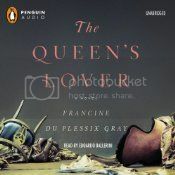 Edoardo Ballerini actually brings more depth and emotion toThe Queen’s Lover than is necessarily indicated in du Plessix Gray’s story, making it a better listen that it might otherwise be. At times I nearly even forgave Ballerini’s von Fersen for his infidelities, but when the king is only one of two husbands he is cuckolding, it is difficult, even with Ballerini’s sympathetic narration. There is not much cause for Ballerini to give characters different voices due to the lack of dialogue, but his vocal changes give depth to the difficult situations described. I wish du Plessix Gray had simply written this as nonfiction, it could have been interesting and informative, but it was a bit odd as fiction. If you are going to attempt this, I strongly recommend the audiobook, as Ballerini keeps the story moving. I’m going to keep an eye out for other audiobooks narrated by Ballerini. Looks like he kept this going for you. BTW, where is the link? Oh, glad you mentioned it, I was editing something on that post and it must have stripped the code for the linky. Up again now! 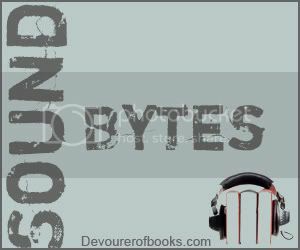 Hmm…I have this book on my tbr list, but now I think I will go audio instead of print. It sounded interesting until you said there was little dialogue. I think it would have been better as nonfiction, but since I am not really interested in her story enough for a nonfiction or nonfiction-like read, I think I will skip this one. thanks for the good review! My thoughts exactly. I actually would perhaps be interested enough in this story for a nonfiction read, but I don’t really like fiction that reads like nonfiction, I’d rather just have it be nonfiction and not have to wonder so much what is true.